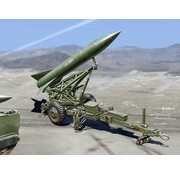 Lance Missile w/Launcher plastic model kit by Dragon Models. Last year, Dragon issued an exciting new plastic kit of the M752 Lance surface-to-surface missile launcher system. That particular kit (#3576) featured a Lance tactical ballistic missile mounted on a tracked chassis. 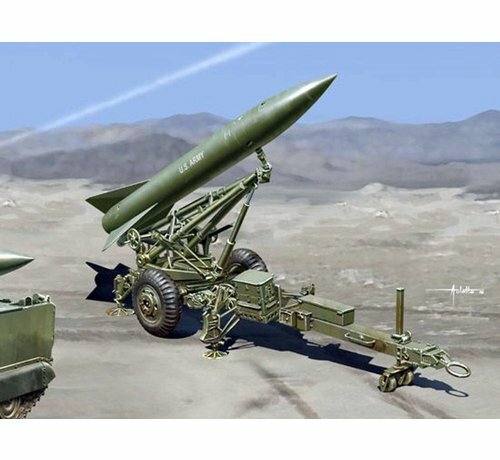 Now, following a good response to the subject from modelers, Dragon has doubled the options by releasing another kit, this time of a short/medium-range MGM-52 Lance missile mounted on a single-axle trailer. The MGM-52 Lance missile was deployed in 1972, replacing the bulkier and less mobile Honest John and Sergeant missile systems. With the end of the Cold War, the MGM-52 was withdrawn from service in 1992. The Lance system was used by the US Army, Belgium, Germany, Israel, Italy, the Netherlands and UK, meaning that this new kit offers enterprising modelers a lot of versatility. The specialized two-wheel trailer is all new, and it features all relevant details such as storage boxes and four outrigger legs for stability when firing. 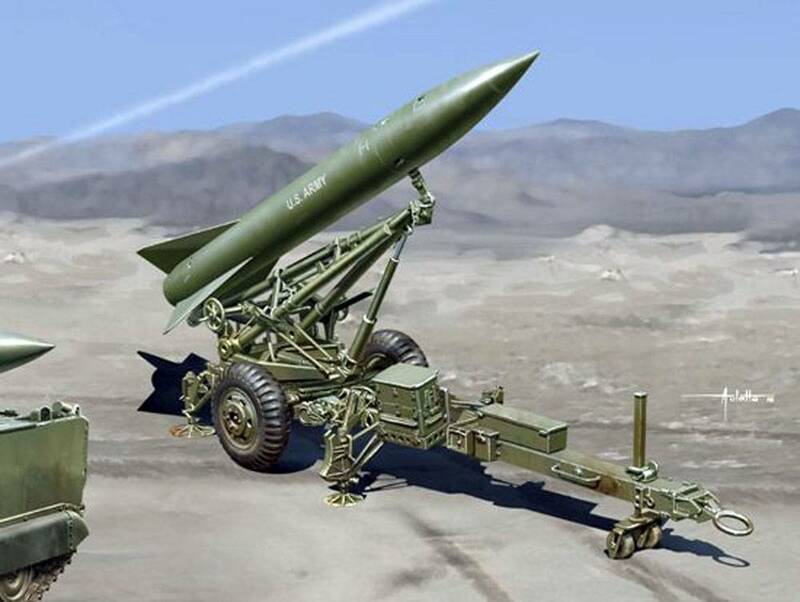 For the benefit of modelers seeking to pose their model dramatically, the missile can be elevated up or down to represent a firing scenario. The missile mount and associated elevation mechanism are sophisticated. Notably, these are the only two 1/35 scale plastic kits of this US-manufactured missile launcher currently available on the market, allowing modelers to choose which Lance they want to get acquainted with.